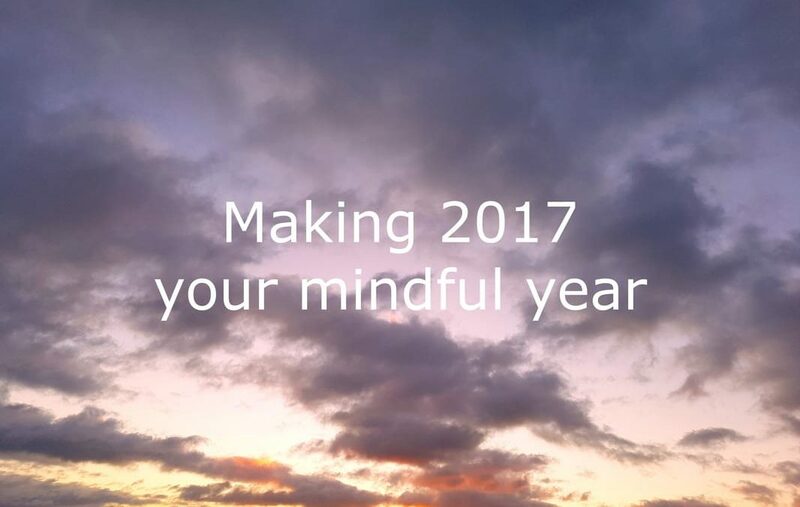 ​Mindfulness means deliberately returning your awareness to the moments of your day while cultivating acceptance in your life. 2. Find your anchor point and use it. Your “anchor point” is whatever most easily returns you to the moment. For me it’s the sensation of my breath at my nostrils. For others it can be the feeling of their feet against the soles of their shoes, awareness of their posture or the use of a silent word such as “returning.” Let the anchor point return you to the moment many times a day. 3. Do a body scan if you wake up during the night. Instead of drifting into worries or other negativity when you wake up at night, bring your attention to your body from your toes to the top of your head, in stages (for instance toes, feet, calves etc). Rest your attention on each area for the length of three in-breaths and out-breaths. Whenever your mind drifts, bring it back to whatever part of your body you are at. 4. Eat and drink with awareness. Notice the taste and texture of food and drink. This doesn’t mean you have to eat ridiculously slowly or in silence. It’s really a matter of knowing you’re eating while you’re eating. It’s a great opportunity to practise mindfulness and you’ll even enjoy your food more. If being mindful for the entire meal is too much, try being mindful for the first minute of the meal. 5. Try a little acceptance at the start of the day. Each morning, look over what you are going to have to do today and accept it. This could include an annoying task, an unpleasant meeting or any of the other challenges in our day. Just accept it. This need only take a minute or so, for instance before you get out of bed in the morning, having breakfast, waiting for a train or tram and so on. 6. Add a “no problem solving” period to your day. Our addiction to endlessly mulling over problems and possibilities takes us away from the moment. Some of this is necessary but we overdo it. Choose a short period every day during which you promise not to solve a single problem in your life! During that time you will find it much easier to be present and mindful. Try it at lunchtime or when you’re walking, for instance. A new start to my day to return to my mindfulness practice. Thanks Padraig. Thank you for this Padraig. All your reminders keep me focused, which is my big bug bear. Thank you again, keep up the good work. Thanks for this! Actually, some psychologists suggest the opposite of #6. Set aside a short time to focus on problems; they call this “worry time” but it could be problem-solving time. Te rest of the day is not for problem-solving.